I dyed my roots darker and now my ombre is complete, I got lots of lovely comments from you girls on IG and I'm finally sharing some photos taken in natural light, no flash and taken on my phone. Yes I did it myself. I used the 'Smart Blonde' hair lightening kit to lighten the ends that I got from Superdrug for about £5, it says it lightens without bleach and it did, the scent however was really strong so there was still some serious chemicals in there probably renamed to disguise the bleach. I backcombed my hair from my ear downwards so that when I applied the colour it wouldn't have a harsh line and that it would blend in which worked out really well. Yes I am brave and had been considering for sometime and just went with it and it turned out great! Well, I think so anyway! :) I'm loving the lighter hair for the Summer! I dyed the roots darker with Boots 'Botanicals' bitter chocolate hair dye which was a nice cool toned dark brown. I also used 'Marilyn' by Lush on the tips of my hair to take away some of the warm tones, it only made a slight difference so I think I need to do it again. But luckily, the colour is not too brassy so after a few washes it will look even better. I get loads of comments of people asking if my hair is damaged, no it's not, obviously the ends are dry due to the colour change but it's nothing a little serum or oil can't fix. Also, I trim my hair regularly myself every time I feel like the layers are growing out. Here's my outfit from yesterday! Yes, I am now finally back to my pre pregnancy weight *excuse me while I do a little dance* I'm actually lower and aim to lose a couple more kilos to get back to pre wedding weight! I have lost a total of 7.3kg and will be doing a detailed clean eating / fitspo post soon. This time I got the ombre right, I actually prefer it to anything I have had done before. 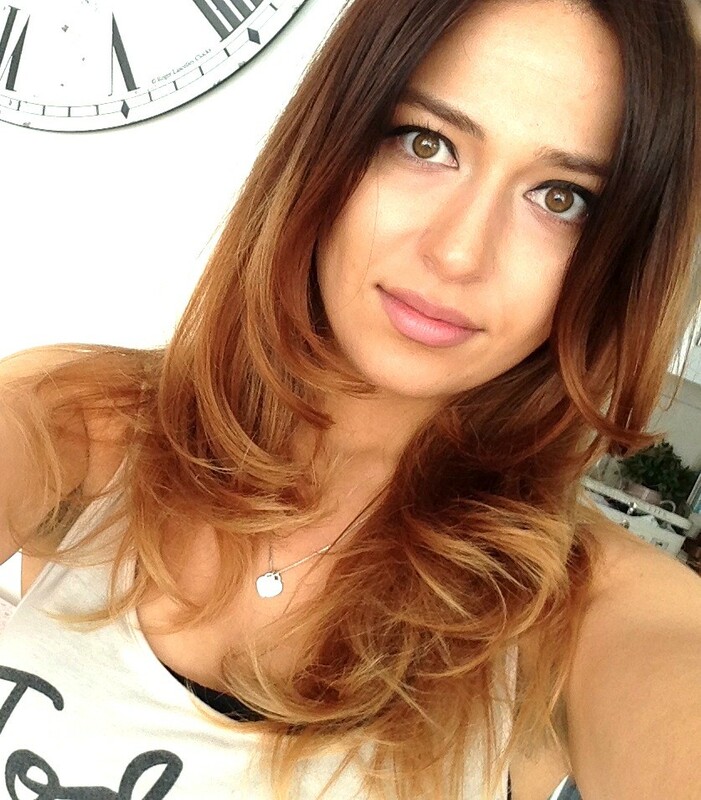 What do you think about Ombre? Are you still loving it or are you past it? wow i love it! it really looks so pretty! I did a DIY ombre but I had to apply bleach, TWICE as I needed it as blonde as possible 'cause I was going to slap on some turquoise dye. My hair was extremely britle after but what helped an awful lot was pure coconut oil, the one that comes in a blue tub from Asian/Desi stores? If you ever do find that your hair is looking a tad warmer or brassy, I would definitely recommend you to try Fudge's Paintbox in Whiter Shade of Pale, by far the best toner out there for hair! love your hair looks gorgeous! You did it yourself? REALLY? Amazing. You look gorgeous and your body looks fab! Please keep us updated on your workout routine. Wow, you really did an amazing job! Hair looks great, and you look prettier each day! 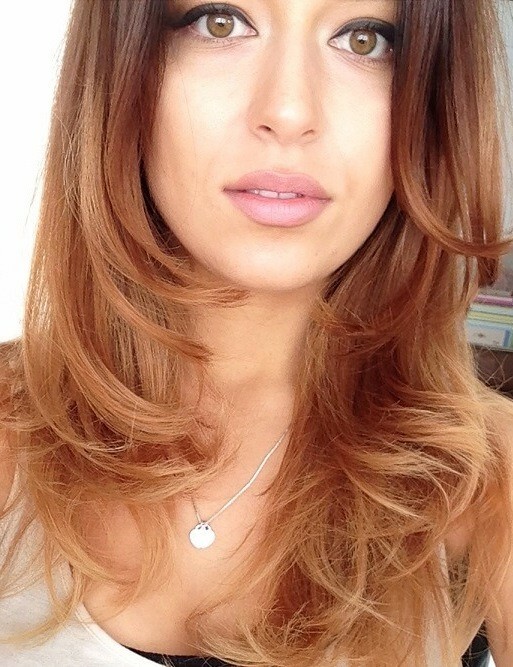 The ombre looks fantastic, you have done a great job! I'm still loving the ombre trend and I hope it doesn't go out of fashion as I want to do ombre eventually (when my hair grows a bit as at the moment if i ombre my bob hair it might look like i have regrowth instead of look trendy!). And yay for losing the baby weight, it's not easy, but you look great! If you want to make yourself different from others, a pair of christian louboutin shoes are necessary. Herve Leger Dress can make you be the princess of this formal party. A limited style means that people cannot buy such a kind of shoes so easily. The shoes are limited but the demands are large. So usually some people want to buy, but they can. Therefore, if you are interested in it, place an order right now. I am over ombré. I think your hair looks a hit damaged, and I much prefer it dark. Congrats on your weight loss, you look great. Definitely loving it! 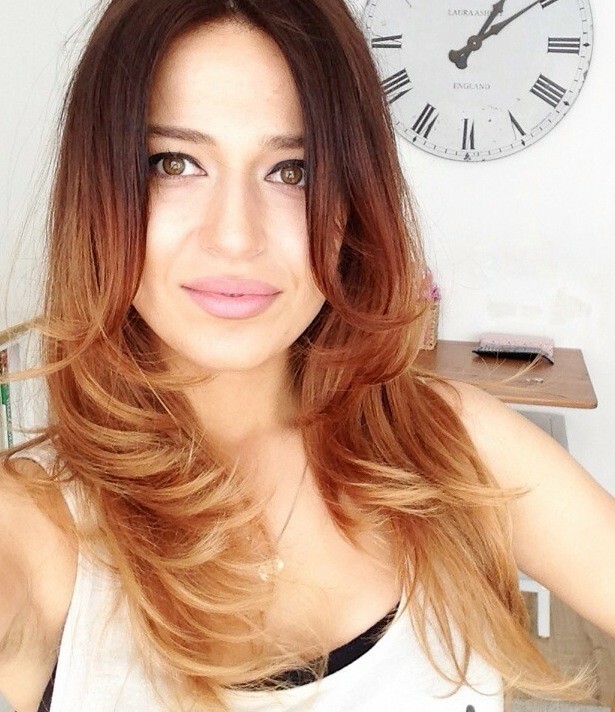 Seeing you with ombre makes me think I must get over my fear of colouring my hair and do it too! prettiest DIY ombre i've ever seen! :) your hair looks amazing! p.s: do you know turkish? Is your necklace from Tiffany's? If so, I got one just like it, but one of the hearts have blue enamel. PS: Your hair look stunning and you are very brave for doing it yourself, but the results are amazing! Aww I am so happy for you and your recent weightloss, you seem to have such a beautiful life and your hair looks so pretty. I think you are so lucky, I hope I can feel this way about my own life very soon. contact extra approximately your post on AOL? I need an expert on this area to unravel my problem. love your jeans too, do you alter the length ? I am new in uk and don't know where to buy since I am a size 18. I cannot believe you did this yourself! Thats pretty impressive and it looks fabulous! I think that ombre is really pretty. Your ombre is beautiful ! Good job. Maybe you check out my blog and we could follow each other? I love ombre! You've done an amazing job, it looks so professional. I still love the ombre look, I don't think it's going away any time soon!